Celebrate November with 27 writing prompts. This is "hands-down" the best writing packet I've ever made. If you're like me, you will want to use some to send home for the Thanksgiving Break. Embedded throughout the unit, you will find facts and snippets of informational text. Click here to see my December Close Reading Unit. Click here for November Reading Passages. Click here for the full Turkey "Fact-ivity", Literacy, Math, and More Unit. This is a print and go! No fuss! No fluff! Time saving unit! Technology is incorporated. To find the prompt desired all you need to do is click the title in the table of contents. Saving you time! All pages are in portrait layout. Cover for a packet page is included. W.1.1 Write opinion pieces in which they introduce the topic or name the book they are writing about, state an opinion, supply a reason for the opinion, and provide some sense of closure. W.1.2 Write informative/explanatory texts in which they name a topic, supply some facts about the topic, and provide some sense of closure. W.1.3 Write narratives in which they recount two or more appropriately sequenced events, include some details regarding what happened, use temporal words to signal event order, and provide some sense of closure. W.1.8 With guidance and support from adults, recall information from experiences or gather information from provided sources to answer a question. W.2.1 Write opinion pieces in which they introduce the topic or book they are writing about, state an opinion, supply reasons that support the opinion, use linking words (e.g., because, and, also) to connect opinion and reasons, and provide a concluding statement or section. W.2.3 Write narratives in which they recount a well-elaborated event or short sequence of events, include details to describe actions, thoughts, and feelings, use temporal words to signal event order, and provide a sense of closure. W.2.8 Recall information from experiences or gather information from provided sources to answer a question. W.3.1 Write opinion pieces on topics or texts, supporting a point of view with reasons. W.3.2 Write informative/explanatory texts to examine a topic and convey ideas and information clearly. W.3.3 Write narratives to develop real or imagined experiences or events using effective technique, descriptive details, and clear event sequences. 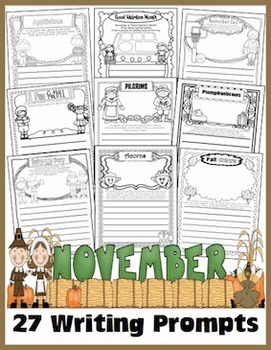 Click here to see my November Reading Freebie. Click here to see my November Writing Pack. Click here for Fall Themed Math. Please ask any and all questions prior to purchasing at www.247teacher.us. For more on Text Coding, Text Structures, and Close Reading of Informational Texts. Click HERE to see my Interactive Notebook for Informational Text, Text Structures, and Close Reads. Click HERE to see my Monthly Close Reading Units. "Helping your children become text-dependent!" Each monthly unit has history, biographies, science topics, holidays, and more! Designed for Close Reading: Other uses includehomework, social studies, or science. Text dependent questions are designed for text evidence responses! Each passage is written at FOURlevels.From first to fifth! Each passage has five or more activities. 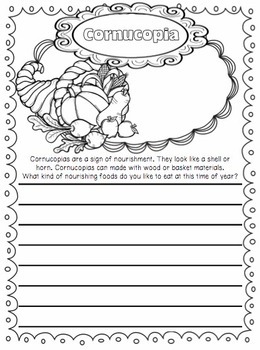 Use for guided reading! 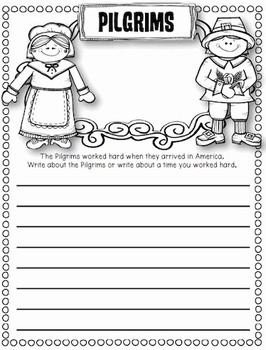 Each passage can be used as week-long homework! Click HERE to check out my Monthly Close Reading Club! Click below to see more of each individual unit in the file. Click HERE for the January Close Reading Unit. 20 passages: EACH Written at FOUR levels. Click HERE for the February Close Reading Unit. 20 passages: EACH Written at FOUR levels. Click HERE for the March Close Reading Unit. 20 passages: EACH Written at FOUR levels. Click HERE for the April Close Reading Unit. 20 passages: EACH Written at FOUR levels. Click HERE for the May Close Reading Unit. 20 passages: EACH Written at FOUR levels. Click HERE for the June Close Reading Unit. 20 passages: EACH Written at FOUR levels. Click HERE for the August Close Reading Unit. 10 passages: EACH Written at FOUR levels. Click HERE for the September Close Reading Unit. 20 passages: EACH Written at FOUR levels. Click HERE for the October Close Reading Unit. 20 passages: EACH Written at FOUR levels. Click HERE for the November Close Reading Unit. 20 passages: EACH Written at FOUR levels. Click HERE for the December Close Reading Unit. 20 passages: EACH Written at FOUR levels. Click the green links to see the titles included in each unit. Click HERE to follow on FB for exclusive Facebook Only FREEBIES! Click HERE to follow on Pinterest! Have a question? Have a suggestion? All informational texts are original. Literature or fiction pieces are either original pieces written by Joe Harrod or retellings by me from public domain. Original pieces are the copyrighted works of Joe Harrod, operating under the umbrella entity of 24/7 Teacher LLC. If you have colleagues interested in my work, please respect the DMCA by directing them to my store. Your purchase is for one classroom only. Please purchase additional licenses if you intend to print for more than one classroom. Additional licenses are listed at or more than 50% off. If you have any questions please communicate with me: at www.247teacher.us! Are you ordering three or more? Then, please read the following. In order to provide you with a fair and accurate quote please email: jharrod@247teacher.us for information regarding pricing for team, grade level, school site, or district licenses. All rights reserved by J. Harrod. This product may not be distributed digitally such as through any usb flash drive or mass storage device. Under no circumstance can this product be uploaded to any cyber sharing platform such as a server, drive, network, wiki, or digital cloud storage unless approved by 247 Teacher LLC. Failure to comply is a copyright infringement and a direct violation of the Digital Millennium Copyright Act (DMCA). Thank you for recognizing my hard work and directing your colleagues to my store.